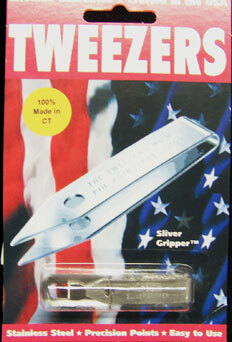 From the manufacturer of the World's Finest Precision Tweezer, Uncle Bill's Sliver Gripper Tweezer. Each Sliver Gripper is individually handcrafted in our West Hartford, CT manufacturing facility using only high quality American made polished stainless steel. It really does still happen.